Beginning with just five fish and continuing into flights of fancy, One Fish Two Fish Red Fish Blue Fish by Dr. Seuss celebrates how much fun imagination can be. March 2 is Dr. Seuss’ birthday. Many celebrate his birthday as a day of fun and literacy. I know my daughter’s school is planning a whole afternoon of Dr. Seuss Birthday activities and food! 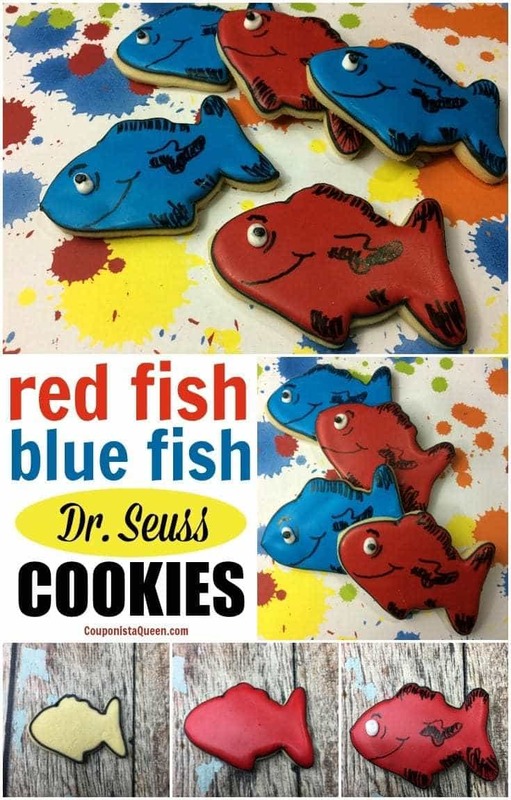 Check out these Red Fish, Blue Fish cookies inspired by one of Dr. Seuss’ most beloved books. – Cream the soft butter with the sugar until the combination is smooth (not grainy) to the touch. -Add eggs. Continue to mix to incorporate. -Add the vanilla. Continue mixing to incorporate. -Sift the four, baking soda, and salt together. Sifting makes the dough lighter. 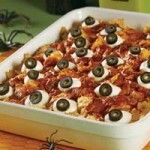 -Continue mixing until all the ingredients are thoroughly combined. 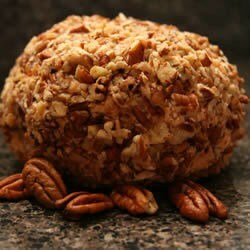 -Form the dough into a ball and then wrap it in cling wrap, completely covering the entire dough ball tightly. -Put in the refrigerator for at least 6 hours but better to let it sit overnight. Check to see if the dough is firm if you don’t leave it overnight. -Pull the cookie dough out of the refrigerator and sit it out to soften up a bit so you can roll it out, 5 minutes. the dough if it is too sticky. (if needed). -Roll the dough out on the cutting board 1/4 to 1/3 inch think, and using the cookie cutter begin to cut your cookies. -Bake at 325 degrees for 7-8 minutes. Check to see if the cookies are thoroughly baked, just beginning to brown. -Take the cookies off of the cookie sheet after a minute of resting, and put on a wire rack to cool completely. Combine all ingredients except the colors into a standing mixing bowl. MAKE SURE that your bowl and beater is clean. ANY oil or grease will make your royal icing not combine and it will be ruined. Once made, cover the bowls with plastic wrap to keep it from hardening while you are working with it, and I keep my filled bags in a ziploc bag. Split the white icing into 4 clean bowls. You will want more of the blue and red so distribute accordingly. Leaving one bowl white, add the colors to the remaining bowls, red in one, blue in the other, and black in the last, and mix well till uniform. Using the 2 piping bags, fill each bag with a bit of the white and black icing to make the eyes and put into a ziploc bag till they are used. This keeps them from drying out and getting crusty. To the red and blue icing, add 1 tsp-2 tsp of water to thin out the icing so it will flow but not be runny. Outline the fish in black icing and let it sit 30 minutes to set up before filling in with the thin red or blue icing. Let sit on a cookie sheet for 4 hours to dry completely. Once dry! Using your edible marker, add some shading to the top fin, the tips of the tails and the middle part of the fish. Make the eyes: Using the white icing, add a small dot for the fishes eye. Allow that to dry for an hour so the black won’t bleed into it, then add a small black dot for the pupil. Let dry for another hour before packaging. Enjoy! These will keep a week if stored in plastic ware.